Hypertension is one of the major causes of disability and death all over the world. Hypertension causes heart attacks, strokes, kidney failures and other disorder if it is neglected and remains untreated. In many cases, hypertension does not cause any symptoms until it causes complications such as heart attack and stroke and plays a role of silent killer in the body. So it is important to realize that you may have high blood pressure and only way to find it out that get your blood pressure checked at regular intervals. 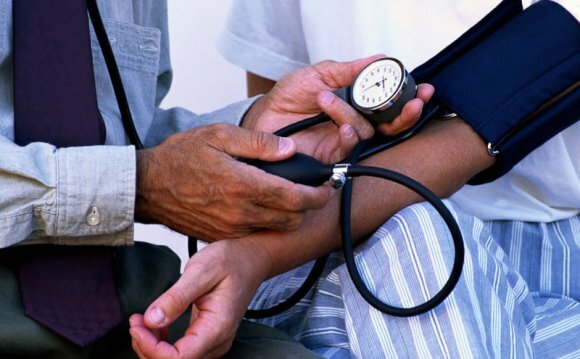 Blood pressure is high when arterial blood pressure is elevated above the normal ranges. The normal blood pressure reading is systolic 120 over diastolic 80. According to Ayurveda, high blood pressure involves all the doshas, the heart, and the blood vessels. We can see signs and symptoms of derangement of vata dosha mainly that of 'Vyana vayu' in high blood pressure. The treatment is to correct the balance of vata dosha.Pitta vitiation is also seen often and should be treated. Dairy: Milk, Cottage cheese, clarified butter. Coffee, which contains caffeine, enhances the action of adrenaline and noradrenaline and both are important in increasing blood pressure levels. Correct your diet and control your weight. One important thing to do is lose any excess amount of body fat you have. One of the good reasons to be slim (lean) is to keep your blood pressure low, losing body fat will lower the pressure enough that a person need not take medicine to control blood pressure. Either you have normal blood pressure or you have hypertension with high cholesterol levels your diet should definitely of low fat, low saturated fat, and low cholesterol diet. With practice of dietary measures recommended in Ayurveda while elaborating ‘Medoroga Chikitsa’ will definitely beneficial in weight reduction. It will be helpful to minimize the risk of fatty cholesterol deposits and will prevent complication of high blood pressure.